Before I explain about the kefir grains and powders, please keep in mind that it’s only the FIRST time you look for suppliers that will take you a little time. you will be likely to buy from them regularly and it’s as easy as popping to the shops or purchasing any other goods on-line! No new car, or fancy dress or suit, will return your investment as making positive food changes will do long-term. 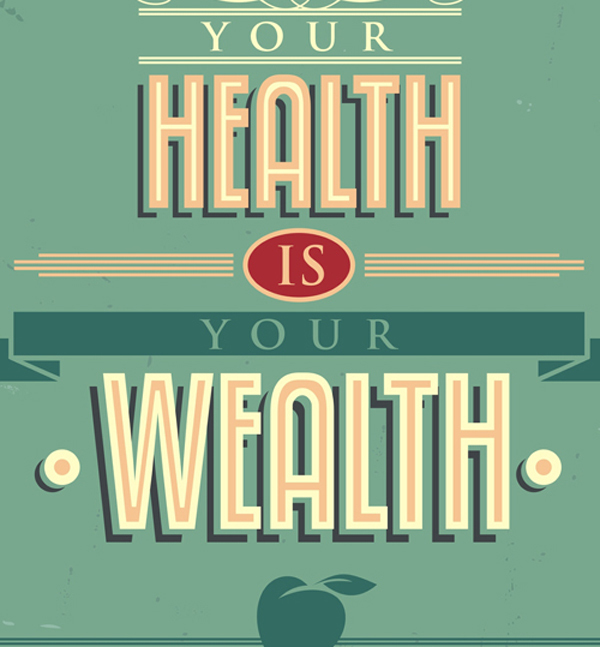 There is no better investment, time or money-wise, in your body. Kefir grains resemble rice pudding (or cauliflower florets. See photo of these grains, clumping nicely, sitting in a drop of milk in the glass bowl. They will be much smaller when they are first sent to you and, if cared for the right way, should last you a life-time. This makes them a very low cost investment! Most people don’t know what to do with their excess grains eventually and that’s why kefir communities have sprung up online around the world, with people either selling or gifting their grains in their local area. You can try searching for communities near you .. or opt to buy from a regular on-line supplier. Who knows? You may have a neighbour who makes kefir and you have yet to find out. It’s worth a quick look! How are Kefir Grains Made? Grains tend to be cultivated (from symbiotic cultures of bacteria and yeast) in either goat or cow’s milk. Some suppliers offer both. Many only offer cow’s milk. You will want to take this into consideration if you have an intolerance. If you are intending to buy grains, first think about the above, then consider that grains thrive off the lactose in milk. I’ve only used mine for cow’s milk to date and I find that once I’ve made a batch of kefir milk, I can leave the grains sitting in the same milk for a week in the fridge without them suffering. If I don’t need another batch of kefir after a week, I just strain the grains, discard the old milk and replace it with new milk. I’ve not frozen my grains to date, but the best known way to store them longer term is in the freezer. Kefir powder starters are freeze dried, contain a good number of friendly bacteria and (see the sachet in the photo) will make a limited volume of kefir. You can usually buy single sachets and boxes containing 3 or 5 sachets. One sachet will be added to your milk for a typical batch of kefir. Eventually the milk will stop culturing with that sachet of starter culture. But you’ll get a whole load of kefir from it before that happens. Each product may differ in volume. The great thing about powder cultures is their ease of use and the fact that they work easily with a variety of milks. No refreshing required. Just use a new sachet and keep using that for your chosen flavour (rice, soy, coconut, hazelnut). Wondering what Kefir Milk Tastes Like? How about buying a store bought milk first? May I just say this before you do ..
Store bought food and drink go through processes in order to give them a shelf life. They won’t contain the same number of probiotics as home-made drinks for this reason and they are likely to taste very different to anything you make yourself. Indeed, every powder starter has a variant on flavour, so don’t expect your bought milk to be the general taste. It would give you an idea though, if you’re feeling a little nervous! Okay. So you’re ready to source and purchase your cultures. Yayyy! Wherever you live in the world, there will be a local community or supplier of grains of powder cultures. and you will find a host of names appear. The best way to determine a good/reliable supplier is to look at all your available choices. Looking to source from your nearest local supplier is likely to be your most cost effective option. If you’re opting for ‘live’ kefir grains, they will be sent to you by post, in a little milk. If you opt to buy from abroad, they will be freeze dried. All kefir grains/cultures come with instructions on how to make your first batch. But I’ll talk you through it here, because from my research to date, what some people doesn’t work, has worked really for me. As I will always feel about fermenting, there are no real rules. Once you understand the basics, it’s chocs away! You just do whatever works best for you. The consensus seems to be from general writings about kefir grains, that they contain more probiotics than the powder starters, although I don’t believe I’ve seen any academic papers to confirm this fact. Kefir grains are much more fascinating than a powder. To watch them multiply, clump and do their work is completely fascinating! I use them to make cow’s milk for my husband, but since I don’t drink cow’s milk myself, I have only used powders for my own kefir. The regular colds, flus, viruses and chest infections I was dogged with for years before drinking this wonderful milk have gone. I’m not saying I will never catch another (that would be temping fate!) but I’ve gone from totally dreading the winter to thinking: ‘Bring it on!’ .. 15 months in and not a whisper of a germ. So for me, the powders are certainly good enough! Tomorrow I’m going to share the simplest recipe for making kefir milk. Baby steps. Then we’ll ramp it up a bit when you’ve had your first try at this. Hi from down under Sarah. I’m enjoying your blog. Re going ‘silver’. My hairdresser told me when I was considering it…. ‘As long as you get a funky cut, so that you don’t have the ‘nanna’ look’! I’ve never looked back, get lots of great comments, and love it. Kefir powders and grains are a symbiotic culture of bacteria and yeast Bonnie. I’m not sure that anyone truly knows the origin of the first kefir grains. People will hypothesise. Without concrete evidence, we are better off not assuming anything. If you would like to use plant based kefir starter, buy a culture starter powder by searching that term on the internet. Do check with any supplier that no dairy is included in the formula. It’s not always obvious before you buy. The health benefits seem to be numerous. Healing stories abound worldwide. I hope you enjoy your kefir and come back to tell me your own healing story before too long. 🙂 Thanks for writing. Hi Janice, Thanks for your feed-back. I’ve added some links to a previous post that called ‘What is Kefir’ so it’s easy for readers to refer back. Thanks for bringing it to my attention. I thought I’d already done it! I like the line ‘no new car or fancy suit or dress will return your investment as making changes to food long term’. It’s very true!